Long-held beliefs can become entrenched over time, making them hard to change. But psychedelics might provide a way to alter them, a study suggests. 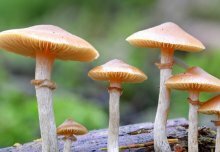 Researchers have been exploring psilocybin, the psychedelic compound found in magic mushrooms, as a potential therapeutic avenue for a small group of patients with depression who do not respond to mainstream treatments – with initial results suggesting a lasting reduction in symptoms. Now, analysis of data from these same patients has hinted that the psychedelic substance could lead to lasting changes in outlook as well, including how people feel about the natural environment and even their political views. According to the researchers, patients report feeling more connected to nature months after treatment with a dose of psilocybin. In addition, they show a general shift along an axis of authoritarian and libertarian viewpoints. The researchers caution that while these preliminary findings are interesting, more work is needed to find out if these changes are directly due to the drug or another factor, and if the effect can be replicated in larger numbers of patients. The Psychedelic Research Group (PRG) at Imperial recruited volunteers with treatment resistant depression as part of a small proof of concept trial. Seven volunteers, with treatment resistant depression, took two oral doses of psilocybin (10mg and 25mg, one week apart) in a clinical setting and were provided with psychological support throughout the process. In previously published work, the group reported findings from scans to monitor changes in brain activity. 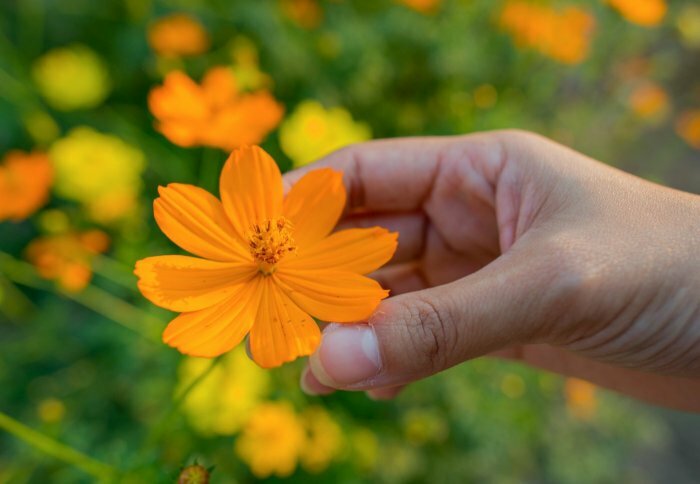 In a paper published recently in the Journal of Psychopharmacology, they report additional findings from questionnaires used to assess the volunteers’ political perspectives as well as how connected they felt to the natural environment. Before treatment, study volunteers were asked to rate to what level they agreed with a number of statements, such as ‘My ideal vacation spot would be in a remote, wilderness area’ or statements of authoritarian or libertarian viewpoints, such as ‘For some crimes, the death penalty is the most appropriate sentence’. They were then asked to complete the same questionnaires again a week after the treatment and then 7 to 12 months later. A comparison of scores from before and after treatment revealed a statistically significant change in responses, indicating a potential shift in their mindset after treatment. The data show that psilocybin treatment was linked with an average increase in scores for the nature-relatedness questionnaire, indicating patients felt more connected to their environment, with a statistically significant change in score several months after treatment. Can magic mushrooms change perspectives? The team also observed a change in scores for the Libertarian-Authoritarian questionnaire, with the extent to which volunteers agreed with authoritarian statements dropping off. This, say the researchers, could indicate a shift towards a more libertarian political perspective, with the effects apparent several months after treatment. “There was a significant effect on both measures and they more or less remained up to one year later,” said Taylor Lyons, a PhD researcher in the PRG and first author of the study. “Our research raises the possibility that taking psilocybin can produce lasting changes in people’s mental outlook and political perspectives. The researchers highlight that while the findings are of interest, the study was carried out in a small number of patients. In addition, the study was unable to pick apart whether the improvements were as a direct consequence of the drug experience or indirectly, through a general improvement of depressive symptoms associated with the therapy. Future studies are now planned to look at the effects of psilocybin in a larger group, including healthy volunteers without treatment-resistant depression, which will look to test the parameters. 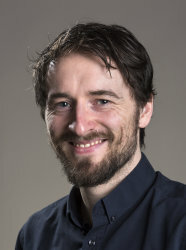 Dr Robin Carhart-Harris, who leads the research group, said: “The findings are interesting, but we need to remember that this was a small study and that further research is needed to find out exactly what’s going on inside the ‘black box’ of the brain. ‘Increased nature relatedness and decreased authoritarian political views after psilocybin for treatment-resistant depression’ by Taylor Lyons and Robin Carhart-Harris is published in the Journal of Psychopharmacology. Motherboard - Do Psychedelic Trips Change Your Political Views?